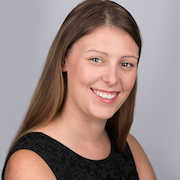 I’m Ashleigh Auld, I run a digital marketing agency within the city and we have a variety of clients in a range of sectors including insurance, service providers, healthcare and retail. We write strategies for companies and provide the resource to execute them if needed. Building your brand in the online world and getting you in front of the right people to generate leads and convert them into sales. Having been very successful within events and marketing,I have strong skills with high attention to detail and managing customer experiences from initial relationships through to sales. I understand the psychology of sales and if I’m not working a room or rewriting a business plan, I’m finding opportunities.